Would you like expert help on intellectual property matters from Nicole S. Dunham, Partner at Perkins Coie? Applications accepted through Thursday, October 11. 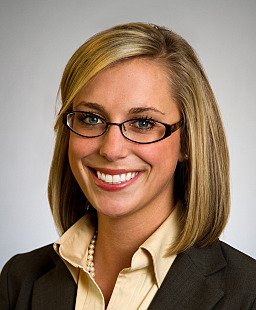 Nicole Dunham is a partner in the firm's Intellectual Property practice. She focuses her practice on patent procurement, portfolio development and strategy, freedom to operate analysis, and other intellectual property due diligence. Nicole has experience representing both investors and emerging companies from incubation through acquisition, and has prepared and prosecuted patent applications in a variety of technical areas, including medical devices, consumer products, software systems, semiconductor manufacturing, aerospace, clean technologies, and other mechanical and electromechanical technologies. In the medical device industry, Nicole has particular experience advising clients in cardiovascular technologies, neuromodulation and monitoring, therapeutic and diagnostic ultrasound, shunts, real-time marker tracking, and gastrointestinal devices. She has also represented pro bono clients in matters involving domestic violence and family law matters.